It’s been weeks since Kilauea first started spewing lava over Hawaii’s Big Island, and things are not looking great. 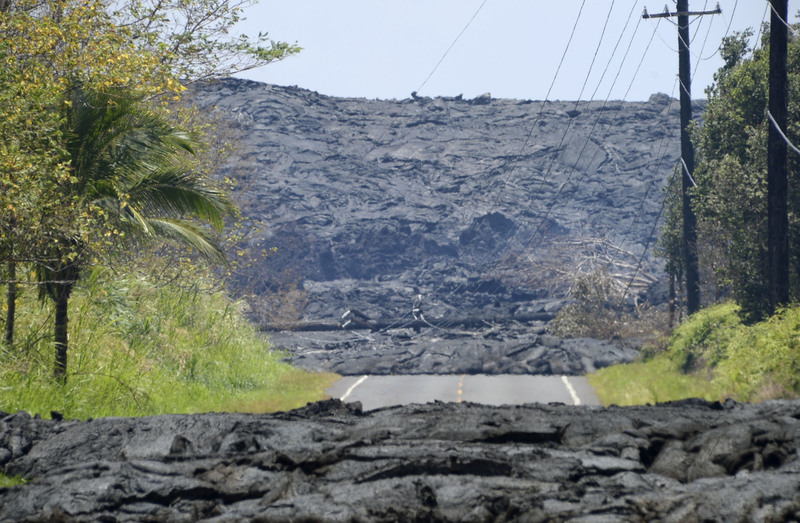 Thousands have fled Kilauea’s surging lava, giant plumes of noxious ash, and shards of volcanic glass, which have so far destroyed hundreds of Hawaii residents’ homes. The lava even devastated a local freshwater lake earlier this week — the lava entered the lake at 10 a.m. Hawaiian time, and by 3 p.m., the lake had apparently evaporated entirely, according to the U.S. Geological Survey. As a so-called “shield volcano,” Kilauea more closely resembles a flattened dome than a science fair-style, cone-shaped volcano. 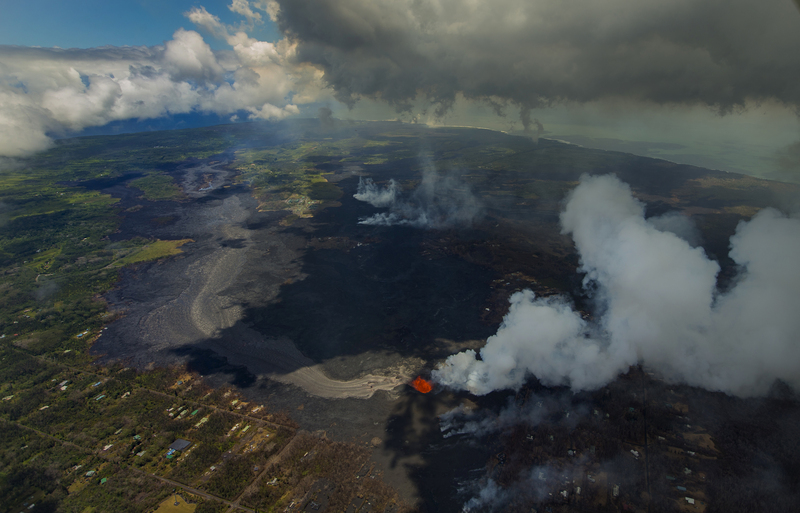 Twenty-odd lava-oozing fissures have split the ground around Kilauea since it first started erupting in early May, but as of Thursday, just one fissure — dubbed “Fissure 8” by the U.S. Geological Survey — remains active. 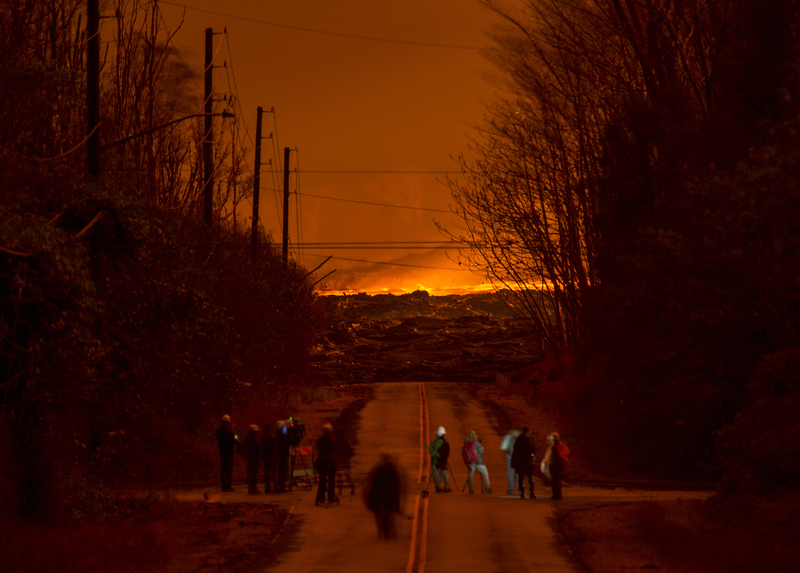 On Wednesday night, lava from Fissure 8 erupted, or “fountained,” 230 heet into the air, the U.S. Geological Survey reported. Right now, officials are warning residents to watch out for “vog,” the headache-inducing haze created by volcanic emissions, and “Pele’s hair,” volcanic glass shards that resemble fine strands of, yes, hair. (They’re named after Pele, the Hawaiian goddess of fire and volcanoes. 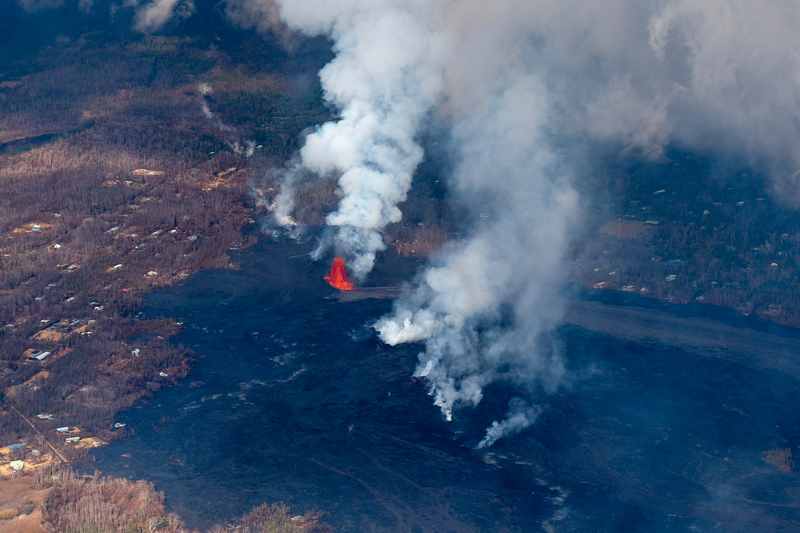 She’s believed to live in Halema’uma’u, the crater at Kilauea’s peak.) Scientists are also concerned about the possible health effects of “laze,” the toxic gas that forms when lava meets sea water.